Suitably sticky social news headlines, crafted to help content resonate and burn throughout social media channels, is both an art and a science. In a recent post to Online Marketing Blog, picked up by CRM Mastery, TopRank® Online Marketing Account Manager Adam Singer offers several tips to help readers craft compelling social headlines. Below, find how two of the five tips offered by Singer have helped boost everything from search engine rankings to social media exposure for TopRank Clients. Smashing Magazine has made page one of Digg hundreds of times using the headline formula ‘number + adjective + sticky message.’ Of course, this formula only works if the headline directs to content that is equally compelling to the audience. 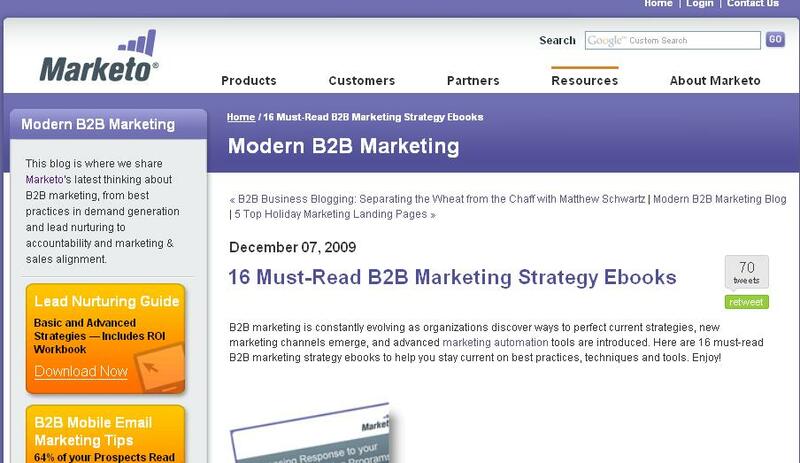 With Marketo, a leading marketing automation software provider, TopRank provides consultation and helps create blog content that activates a passionate community of well connected and influential B2B marketers. 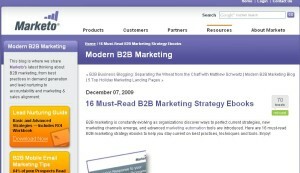 Tying the successful formula above to content proven to resonate with this audience helped this post achieve 500+ inbound links, a significant number of Tweets and a #4 Google ranking for ‘marketing strategy ebooks,’ since its publication in December of 2009. Not every product or service is designed to have broad appeal. In cases where more niche markets are being targeted, the key is to find that fine line between broad appeal and bullseye need. 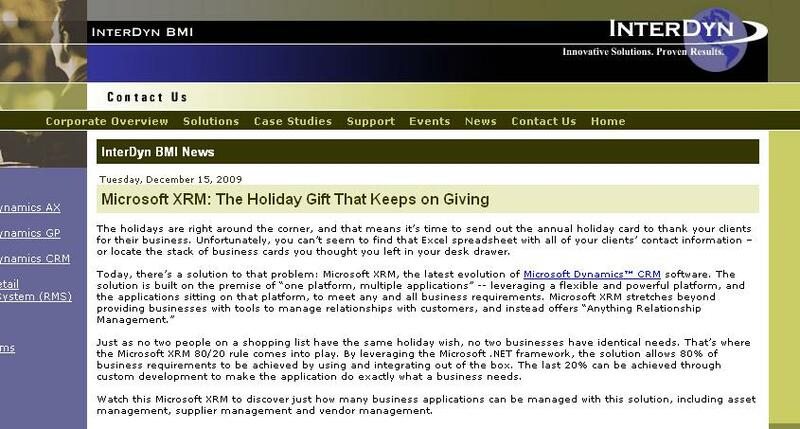 InterDyn BMI, a leading Microsoft Dynamics solution partner, concepted a post in December of 2009 that would connect two seemingly unrelated entities: Microsoft Dynamics XRM, a business software application, and holiday gift giving. With a compelling headline tying it all together, this post achieved three times greater traffic than any other individual post in December, accounting for nearly 10% of total blog traffic for the month. This post was also submitted and published to top online industry publications including CRM Software Blog and Microsoft Dynamics Community. Stay up to date with success stories like these, and the latest news and announcements from TopRank® Online Marketing, by subscribing to our newsroom RSS feed, following @TopRank on Twitter, or becoming a fan of Online Marketing Blog on Facebook. For more information on how a social media strategy can help improve your online marketing efforts, download the TopRank Social Media Guide.